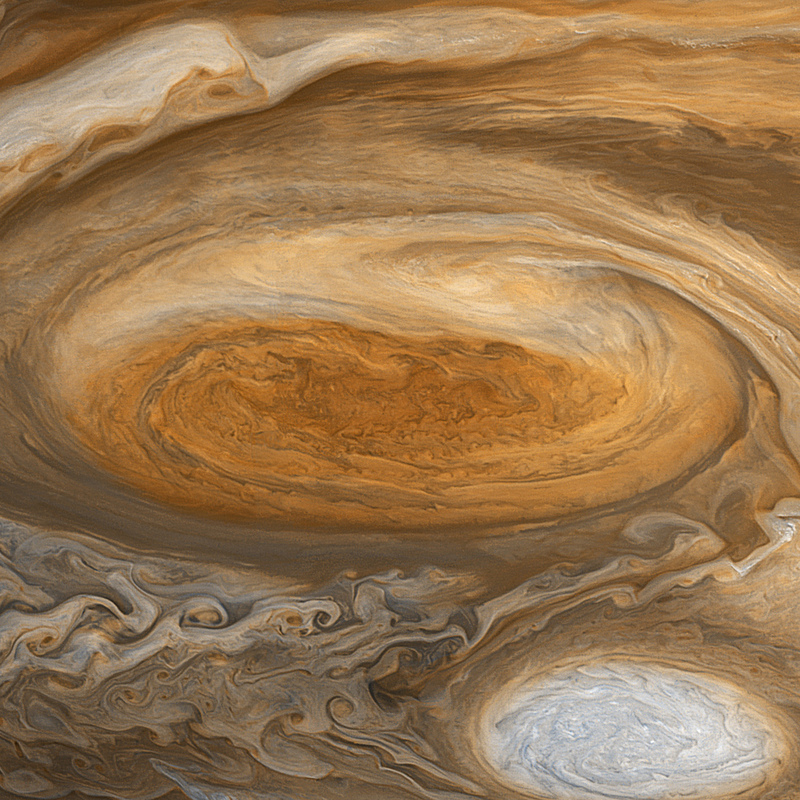 Skillfully reworked by astrophotographer and Unmanned Spaceflight member Björn Jónsson, this section from a Voyager 1 image mosaic shows the Great Red Spot as it appeared in March of 1979 in amazing detail…with sunlight coming from the right side, the sense of the clouds really being three-dimensional and that you’re looking down through layers and layers of Jupiter’s giant and swirling atmosphere is, to me, simply staggering. It almost looks more like a close-up of a Van Gogh or Edvard Munch painting rather than a churning hurricane over twice the size of our entire planet! I cropped and did some slight curve adjustments of my own to heighten the detail even further (because I can’t help myself), but be sure to check out the full-sized original, and read the article on Discover Magazine’s Bad Astronomy blog here or on The Planetary Society’s blog here. Thirty-one years later and we’re still finding new surprises in space exploration data. How great is that!? Superb work, Björn! Dear” What is Nasa Project find new Planet, Discover and New World Future, my name is Syahrul Ginanjar from Bandung Indonesia, i like discover of amazing new Planet , thank you. These pictures are amazing if you could, put videos too because I am sure that people will like it alot more. Thanks Jeffery. Glad you like it! I do often post videos as well, but only if they are available for public use or I can get permission from the creator. It’s good practice to always ask for permission to re-post someone else’s work, but videos from NASA and NASA affiliates are ok to share non-commercially (with proper credit given, still.) People spend a lot of time on their projects and the least you can do is ask them first before sharing it!